WELCOME! And Congratulations on your upcoming wedding! 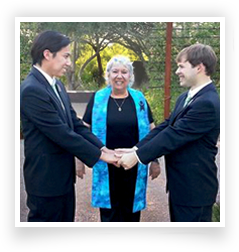 My name is Susan Sackett and I am a Certified Humanist Celebrant. 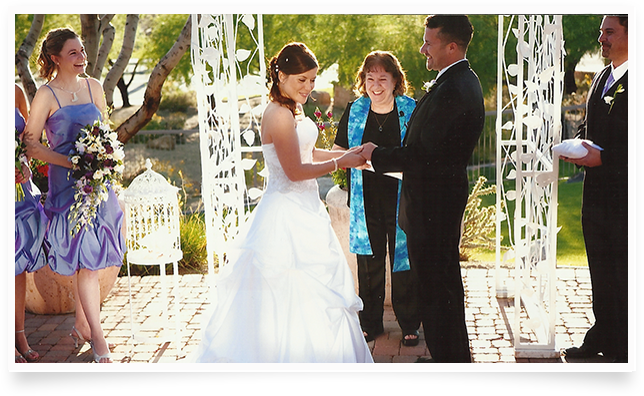 For more than 18 years I have provided warm, meaningful weddings for many happy couples in Arizona. if you are looking for a non-religious wedding or commitment ceremony. Together, we will work to create the wedding of your dreams. will reflect your hopes and values, thoughts and feelings - all personally custom created especially for you, as we work together to achieve your perfect ceremony. If you are a Humanist, agnostic, atheist or other non-theistic couple, I would be delighted to perform your wedding. 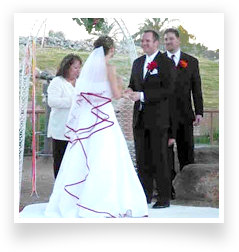 I will work with you in designing a warm and meaningful non-religious ceremony tailored to your wishes.